Holidazzle is a little “Up North” destination in the middle of Downtown Minneapolis. 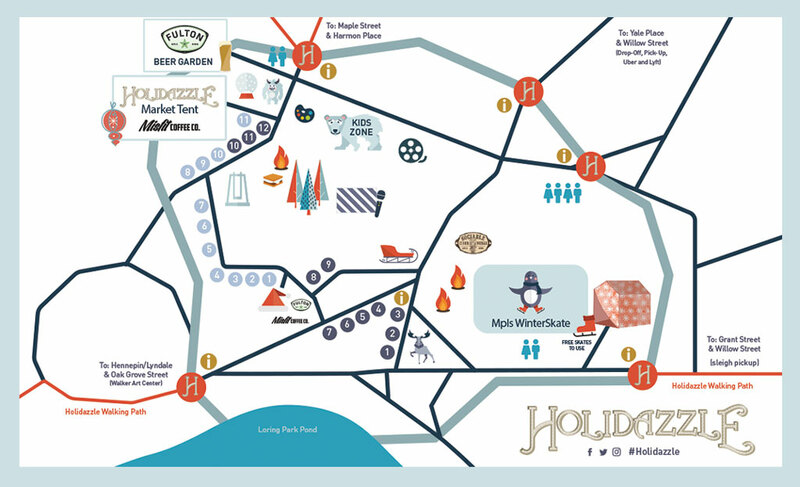 Our maps and images below give you a preview of what you’ll see when you arrive at Holidazzle and how to arrive through several commuting options. For more detailed descriptions on how to find Holidazzle, visit our Directions page. Holidazzle is located in the heart of Loring Park, on the Southwest edge of downtown Mpls. Our site map includes an assortment of vendors offering tasty treats, delicious and savory meals, refreshing beverages, and merchandise and packaged food to take home or give away during the holiday season. The Wells Fargo Mpls WinterSkate is open to the public daily, two holiday movies and one fireworks display each weekend, great activities for all ages and more. And while you’re here, meander through our pathways full of various characters and truly Minnesota sights, sounds and smells. We can’t wait to see you here! For more complete directions from all interstates, buses, light rail lines and suggested $5 flat rate parking options, visit our Directions page. 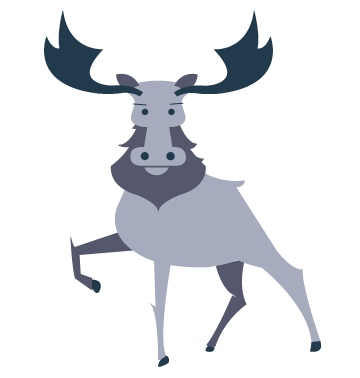 If you have any questions regarding your trip to Holidazzle, email us at holidazzle@mplsdowntown.com or call our help line at (612) 376-SNOW. Click on the interactive map below to learn more, including the red Holidazzle footprint, the red Pathways to Holidazzle lines, and the parking, dropoff, valet and bus options available.